Description: Maize is a highly versatile crop of the family of true grasses. It was first domesticated in the Mesoamerican realm around 2700 BC and later introduced into the European area. It is still a valuable staple food in the south American countries and other parts of the world. 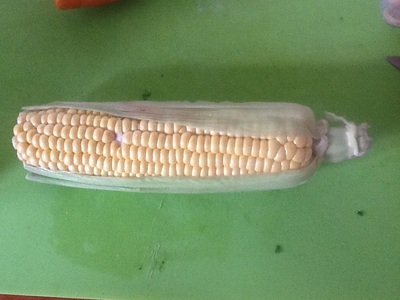 A matured ear of corn. Size: Domesticated species of Corn grow to a height of 2 - 2.5 metres under favourable conditions. Some wild species can reach heights of over 10 metres, however these have little or no fruits. 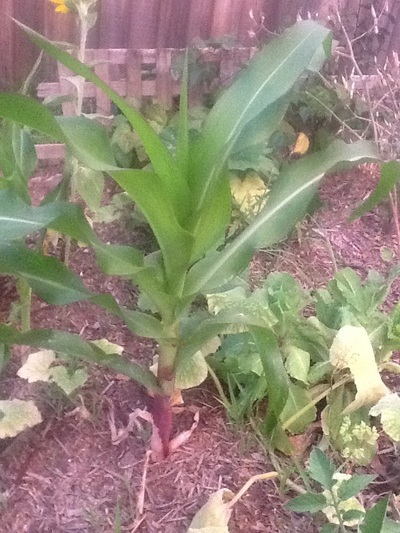 Conditions: Zea mays is best cultivated in rich, slightly alkaline soil. It requires a well-moistened soil and a constant exposure to sun. If it dries out during the flowering stage the fruit is likely to be of quite stunted appearance. A somewhat damaged specimen, due to transplanting by a quite careless gardener (that being myself). 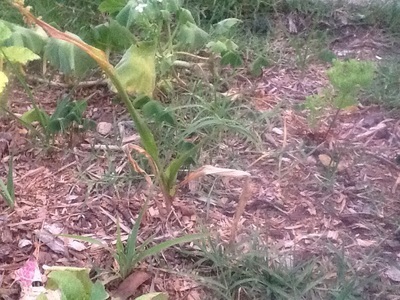 Propagation: Maize propagates via pollen from the mature tassel. In domesticated environments it is usually grown from seed. 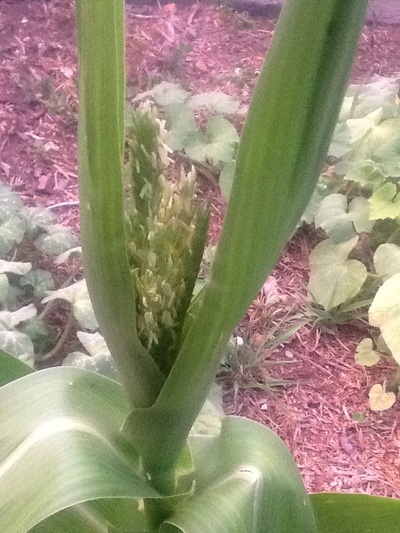 A maturing tassel on a corn plant. When to plant: It is recommended in temperate zones to plant a new crop in the early stages of spring after the last frost. In warmer regions one can plant them most all year around.